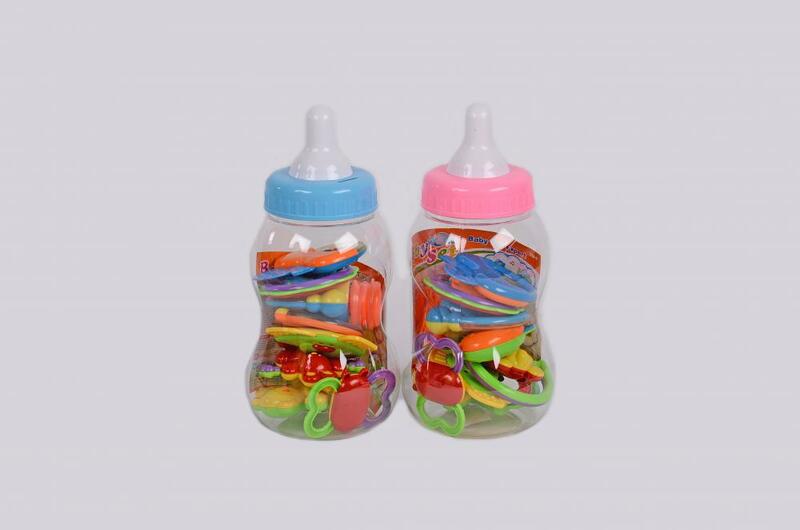 8Pcs various styles Plastic Baby Rattles packed into the Feeding Bottle shape, it is low sound level for baby' s sensitive ears. Easy to grasp for small hands. Toddler educational toys with safe, non - toxic. The toys stimulate children through every stage of development and help nurture and develop their natural abilities. Bright colored rattle, good for baby visual acuity. Low sound level for baby' s sensitive ears. Easy to grasp for small hands. 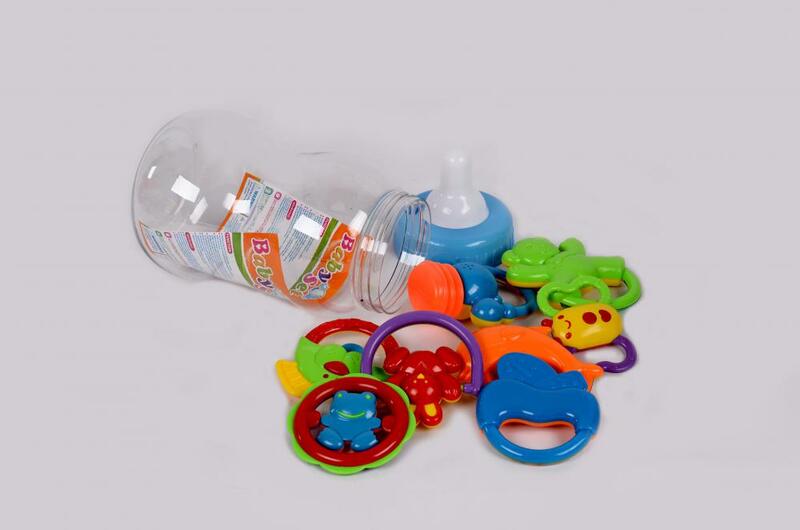 Looking for ideal Plastic Cute Rattles Manufacturer & supplier ? We have a wide selection at great prices to help you get creative. All the Plastic Rattle Toys are quality guaranteed. 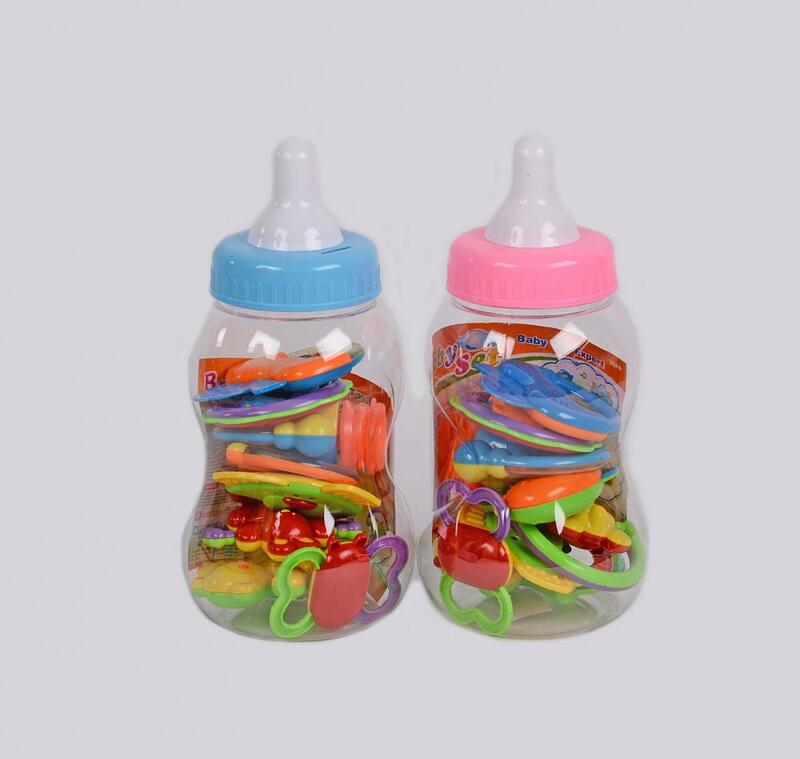 We are China Origin Factory of Safety Baby Rattles. If you have any question, please feel free to contact us.